Product #17658 | SKU 4171010 | 0.0 (no ratings yet) Thanks for your rating! 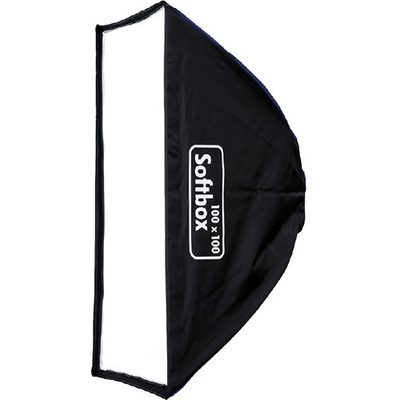 This 100 x 100 cm Hensel Softbox softens light from a flash unit and features changeable front and internal diffusers for modifying light characteristics. It utilises a silver internal coating and features a recessed front panel for minimising light scatter. Also, hook-and-loop fasteners are available for attaching accessories like honeycomb grids. The heavy-duty softbox requires an optional speed ring for use with Hensel EH and MH lighting systems and it includes front and internal diffusers.